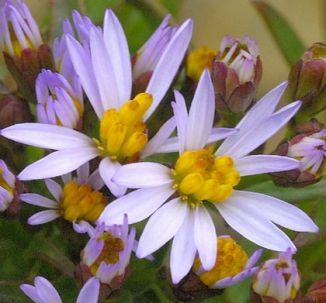 Sea Aster is not easily confused with other wild plants on this web site. My first record of this plant is from 1976 when I found it growing by the sea at Dalkey, Co Dublin. I photographed it in the Burren and at Saltmills, Co Wexford in 2006. 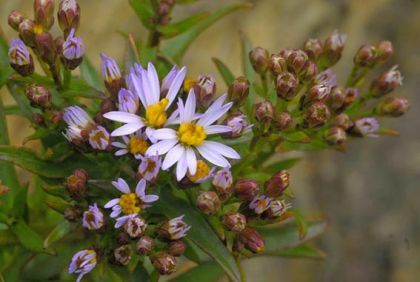 This plant is often confused with Michaelmas Daisy but the leaves of Sea Aster are quite fleshy, whereas those of the Michaelmas Daisy are not. Well accustomed to a saline habitat, this plant has been recorded as spreading inland throughout the UK on the motorways because of the regular winter salting which takes place.